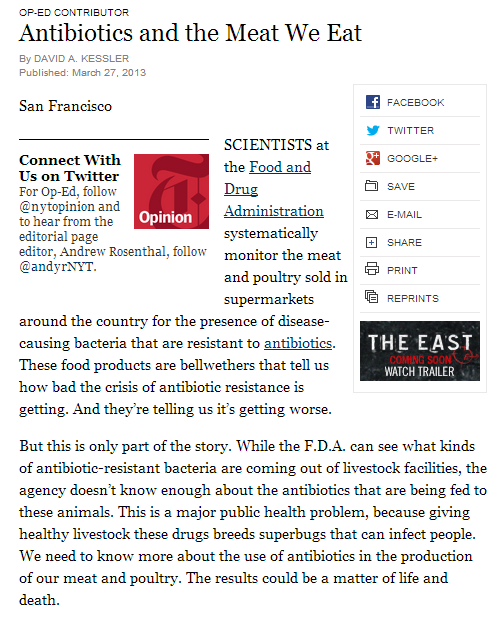 My advisor sent me this article today about Antibiotics and the meat we eat in the New York Times. This topic is the public health issue that has motivated the work I’ve done in the second half of my PhD so in my humble opinion it’s a very important issue world wide. Please take a look! What are your opinions on antibiotic use in agriculture? What about the use of other supplements (steroids, hormones, etc…)?